Let families with children feel a warm welcome. 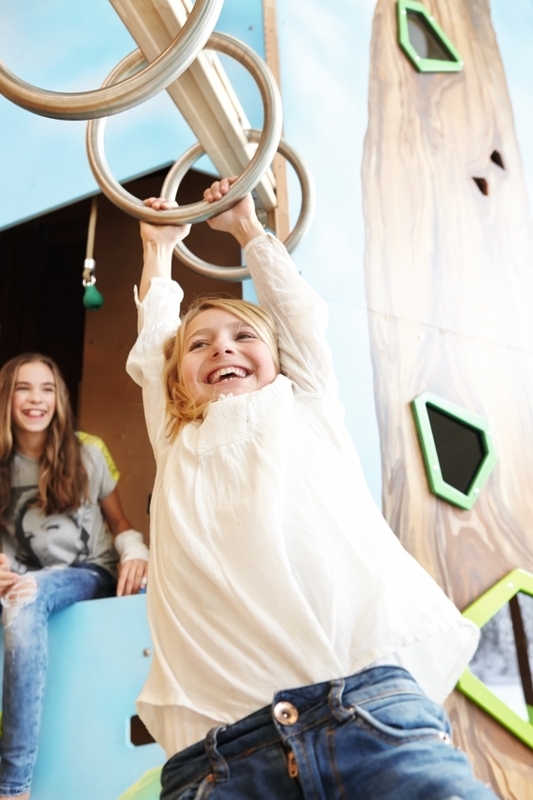 Our interdisciplinary team develops and builds beautifully designed, high-quality game objects, play areas, and worlds of experiences that invite children to play and have fun. From the idea to its implementation, we are at your side as a professional partner. Your wishes and goals as well as the local conditions form the basis of our carefully considered concept. We are committed to durable materials, high-quality workmanship, and tested safety. 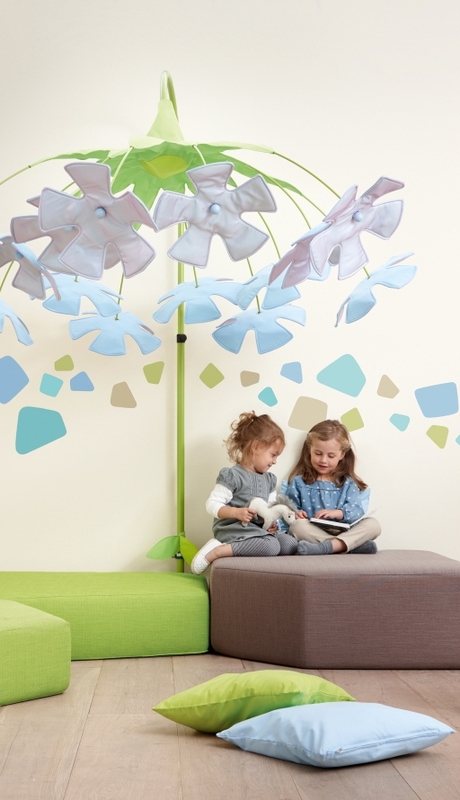 Our creative team develops individual solutions for a variety of conditions and age groups. What they all have in common: they make children’s eyes light up. 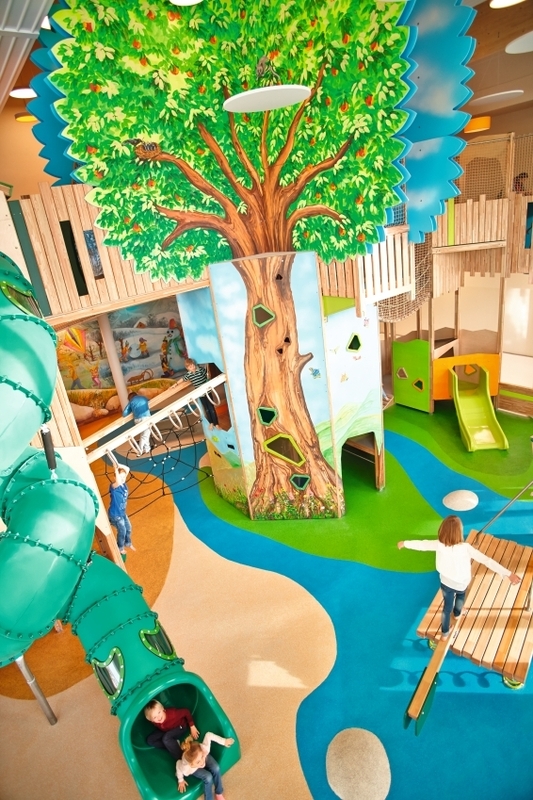 Whether hotel, retail, or company – together we make sure that children feel welcome and have fun. 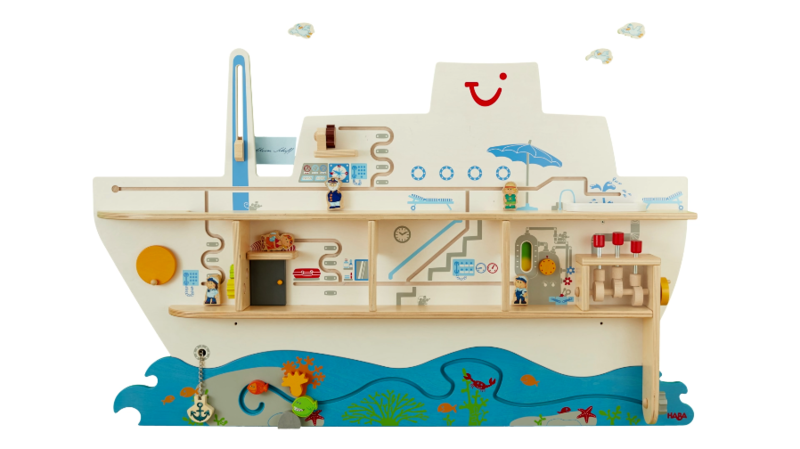 Be inspired by the selection of beautifully designed, high-quality toys, play areas, and adventure worlds that we have realized in recent years for various business customers. Choose one of the categories and discover our references in the relevant area. It sets course for play corners in travel agencies and invites all little globetrotters on a journey of discovery. 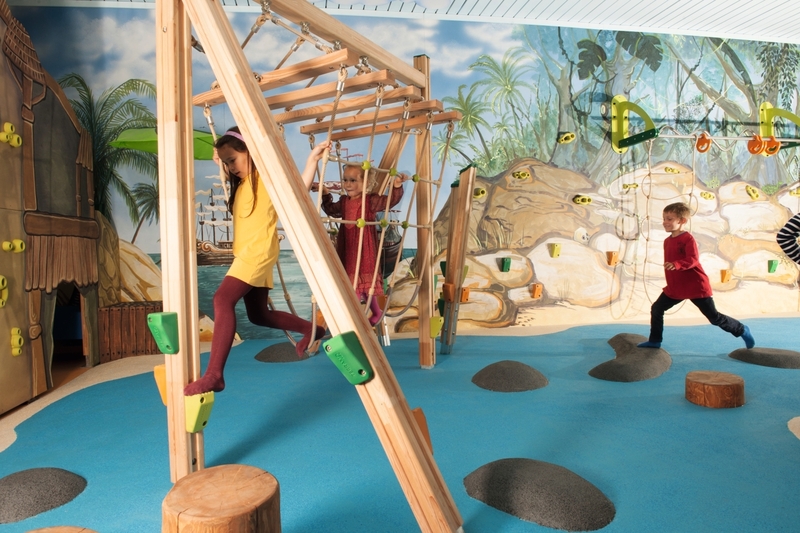 Surrounded by a carpet of waves and with a small island covered in palm trees in sight, the play ship makes even adults want to take to the sea. 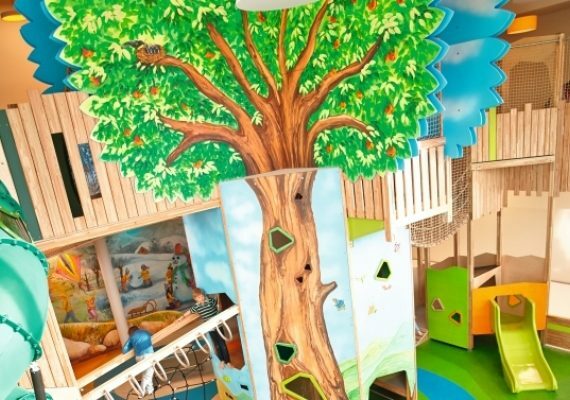 Everyone in the travel agency benefits from a lovingly furnished play area: children can play while they wait for their parents. 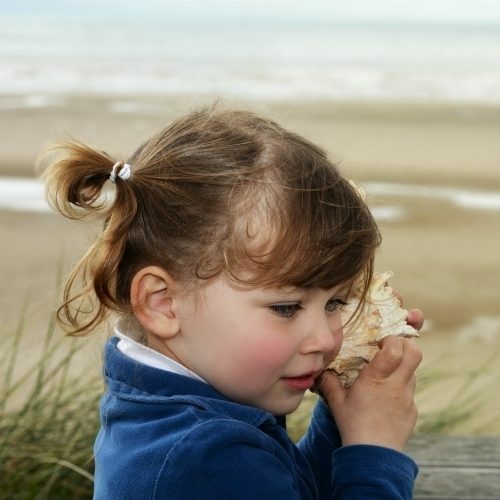 Parents know that their little ones are kept busy and can therefore concentrate on the travel agent’s advice. Other customers enjoy a quiet and pleasant atmosphere. Satisfied customers are happy to come back. Bringing the colors and activities of the mountain world indoors formed the basis for the concept at the Lürzerhof. 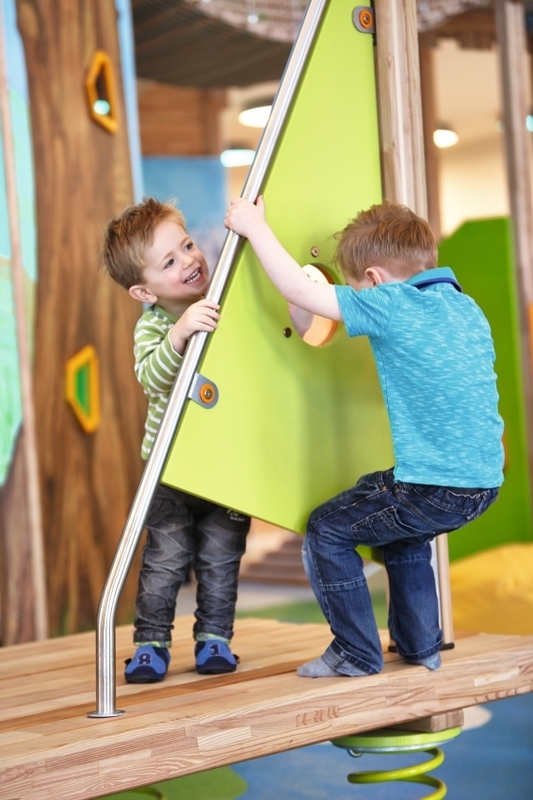 The result was a clearly structured childcare room with different areas: the climbing frame, the playhouse, and the slide encourage role-playing and offer children a variety of inspirations for movement. 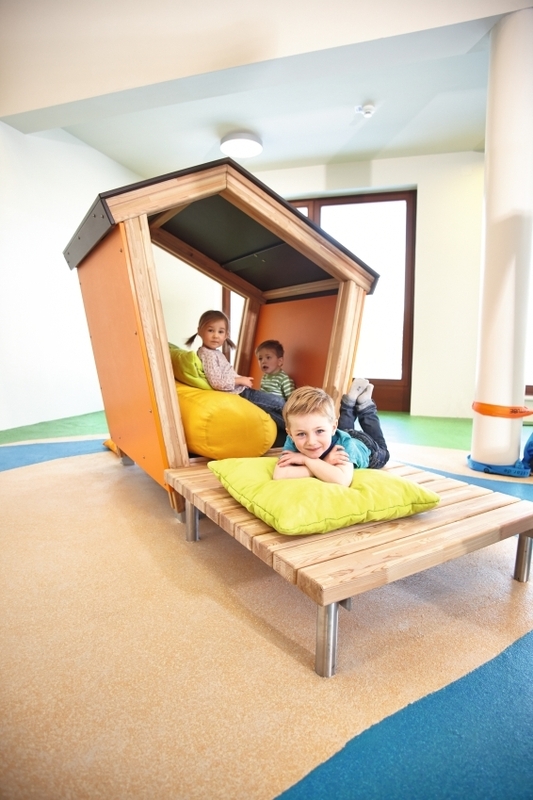 The beanbags are perfect for chilling out and the tables invite children to play and do handicrafts. 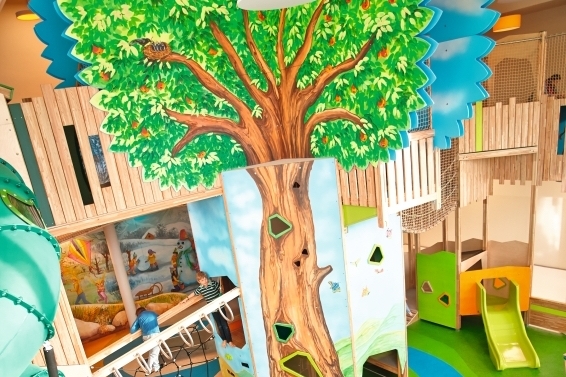 The play area combines ideas for children under 3 years of age with those for older children, and is guaranteed to put everyone in a good mood. The four seasons tree forms the center of the concept, which the family hotel realized over an area of 550 m². 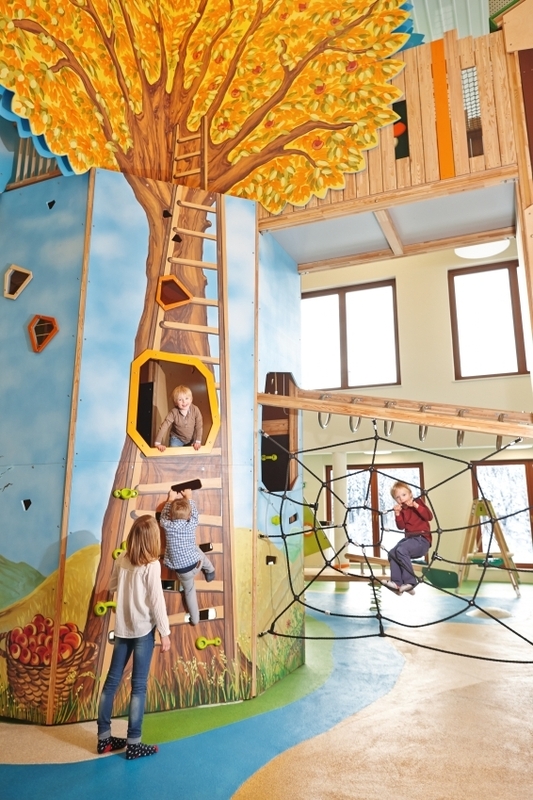 It is 8.60 meters high and divides the room into four season areas, which offer children from 2 to 15 years of age a wide variety of play and exercise activities: in summer they can swing on the beach and balance over the summer meadow, in winter they can jump over ice floes and toboggan down a hill on a sledge with casters. 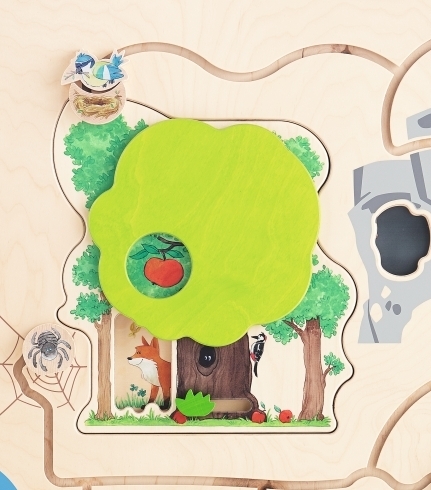 The artistic design of the tree is reflected in the color scheme of the play options and visualizes the four seasons theme. 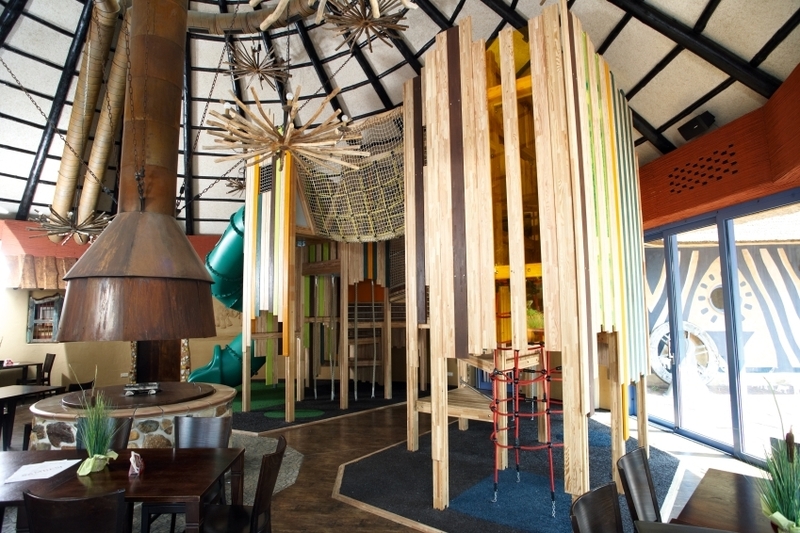 Attractions at different heights such as the observation platform or the giant spiral tube slide alternate with climbing, seesawing, and hiding activities. The HABA Family of Companies has its headquarters in Bad Rodach (Bavaria). 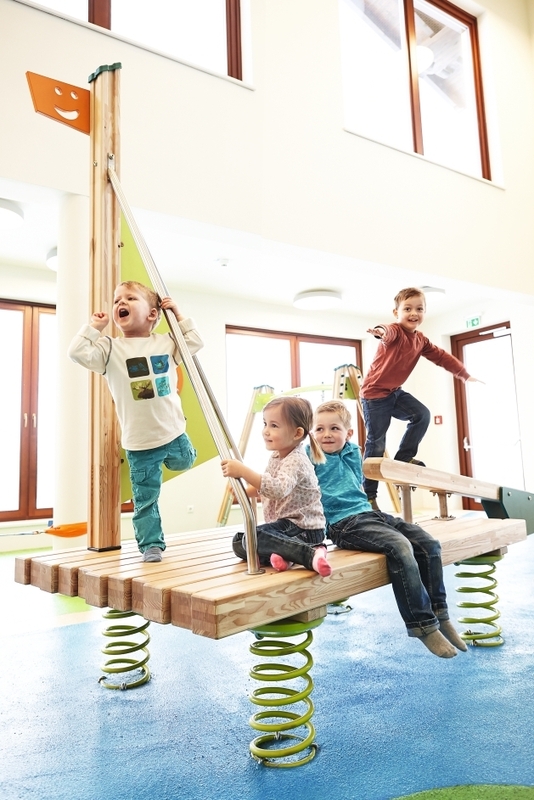 Here and at other locations in Germany and abroad, over 2,000 employees work every day to meet the needs of the world’s nicest target group: children and families. 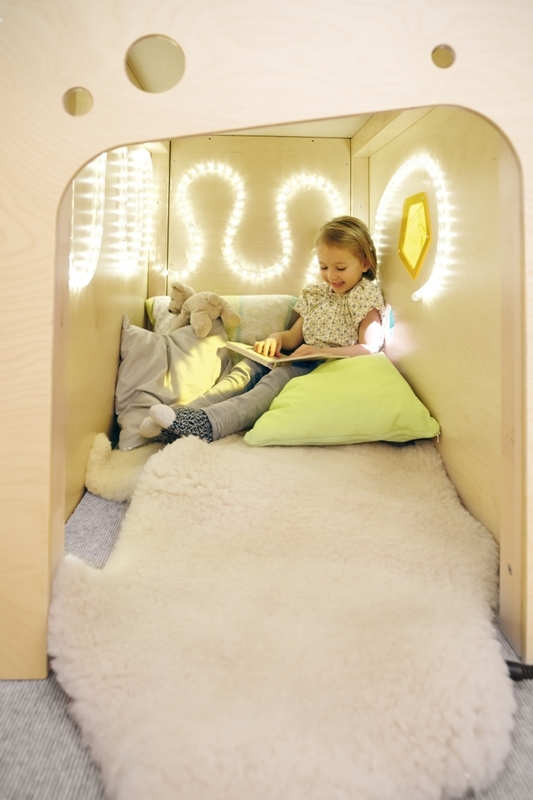 Benefit from 80 years of experience in the development of carefully considered room concepts, innovative furniture, and educationally valuable toys. 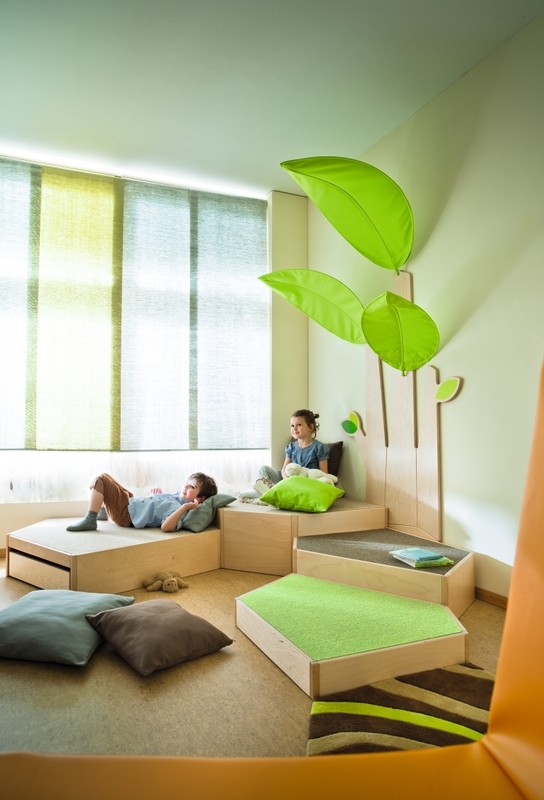 Together with our interdisciplinary team, we develop creative, tailor-made concepts that invite children to play and stimulate their imagination. 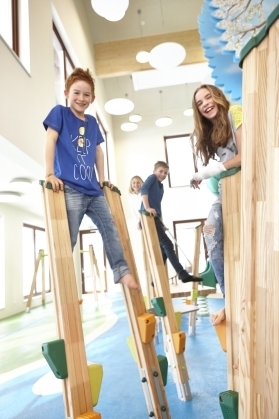 In doing so, we translate children’s needs into beautifully designed solutions and constantly come up with new ideas for the topic of playing. 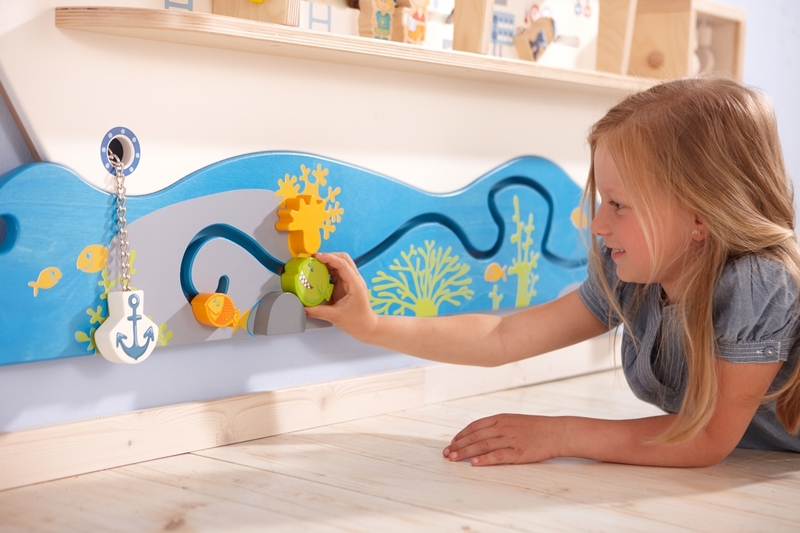 Our goal is to make the world more varied and nicer for children with age-appropriate toys. The beautifully designed and carefully considered combination of your requirements and the needs of children is our strength. 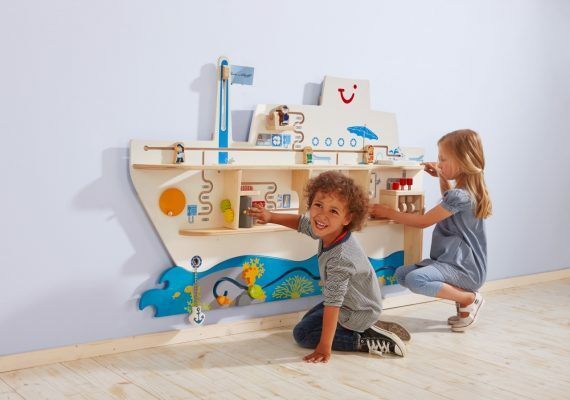 More than 60,000 products from the HABA Family of Companies form the tried-and-tested basis for your unique playing environment. Our interdisciplinary team takes up the style of your company and designs individual toys, play areas, and adventure worlds for you. 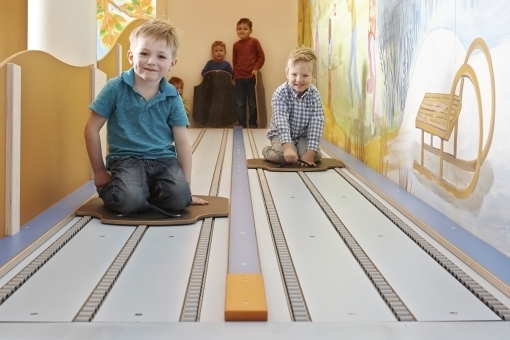 Whether toy, play area, or adventure world ... we develop solutions of all sizes with you. In the HABA Family of Companies we bundle a wealth of competences from different disciplines. What we offer: We give you expert support from the first idea to planning, from execution to installation. Tested safety, durable materials, and high-quality workmanship are the central quality characteristics of our solutions. Constant product controls in our own and external testing laboratories are an integral part of our work. Our excellently trained team knows the relevant laws, standards, and regulations and can therefore guarantee compliance. As a family company, we follow one basic principle: taking responsibility for tomorrow today. During production at our sites, we attach great importance to sustainability, environmental protection, and nature conservation. We process wood from sustainably managed forests and preserve energy and resources throughout the entire value chain by using efficient production processes. We as a team are united by one passion: to awaken the enthusiasm, the spirit of discovery, and the curiosity of children. This motivates us to reinterpret the topic of playing in its various facets time and time again. 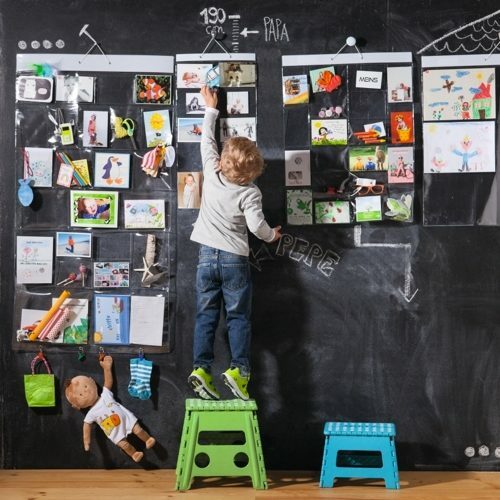 Our goal is to combine the needs of children and families with the requirements of business customers in different industries, such as hotels, retail, or service companies. As part of the HABA Family of Companies, we stand for the values of quality, fairness, respect, change, responsibility, location, and returns. 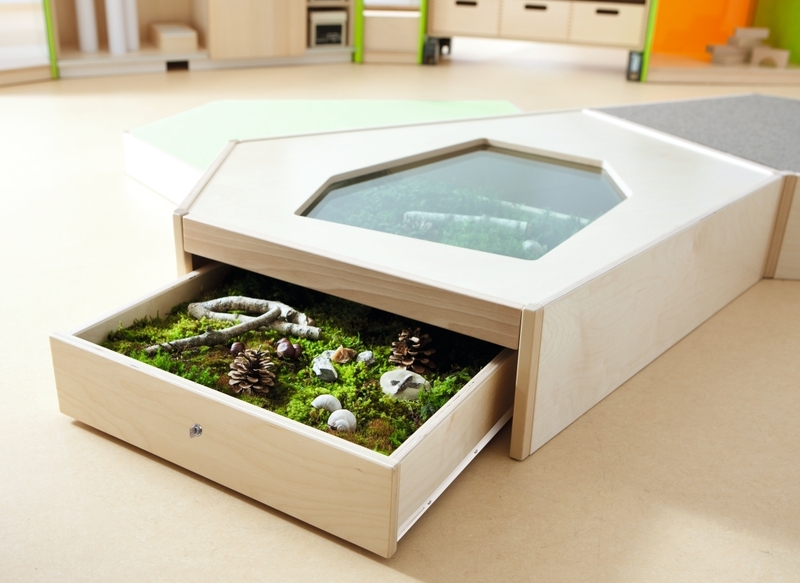 Children are curious, creative, and imaginative. And they don’t play to learn, they learn automatically when they play. 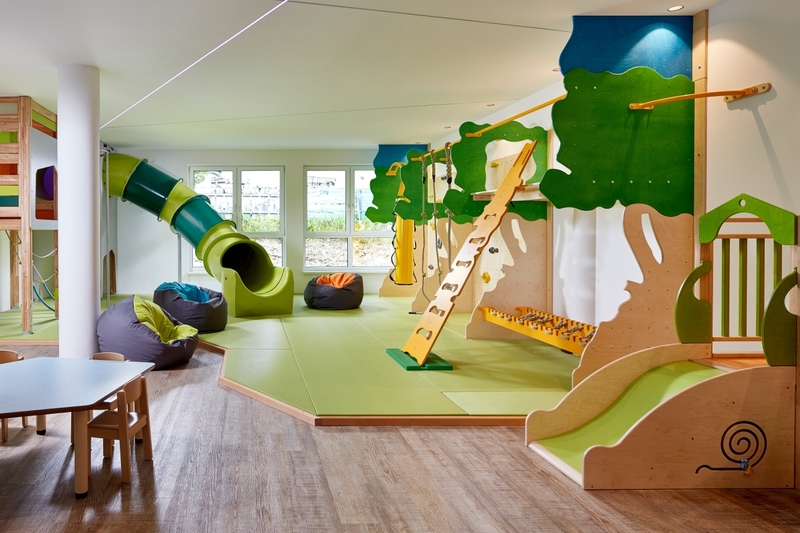 That’s why our concepts and solutions always focus on the fun of playing and the experience for children. 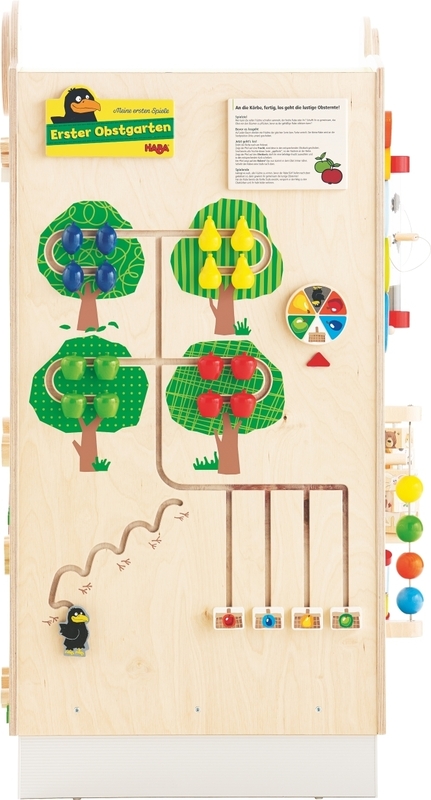 Our toys stimulate the imagination, invite children to discover, and inspire age-appropriate ideas for playing. 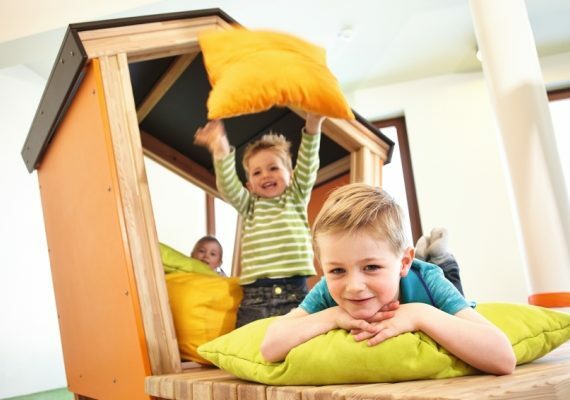 They offer children a variety of ideas for gathering experiences independently and having fun over and over again. 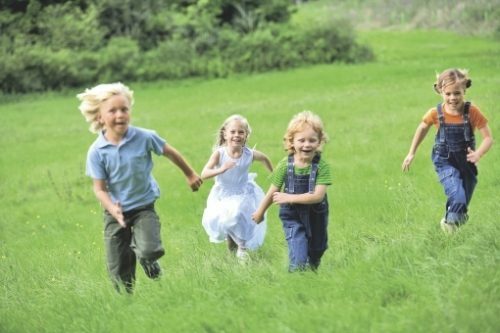 The desire to move is human nature, and children in particular like to let off steam. 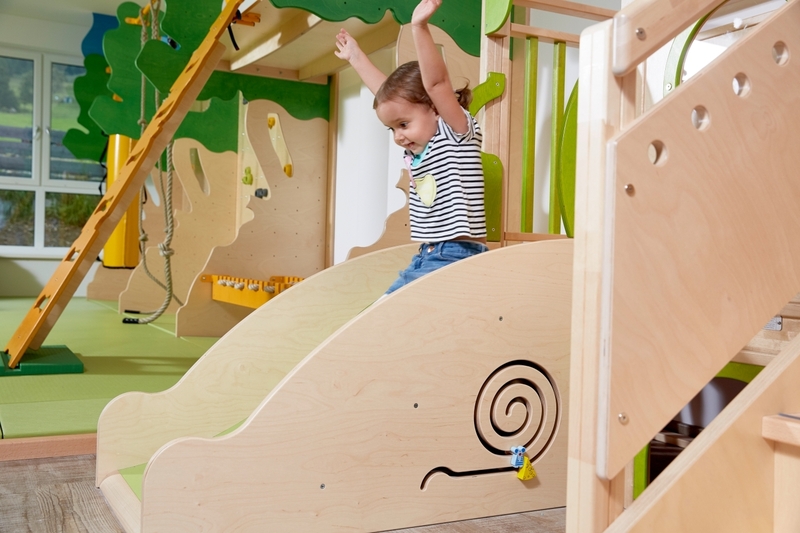 They love the tingling in their stomach that occurs when jumping, bouncing, balancing, and moving hand over hand. 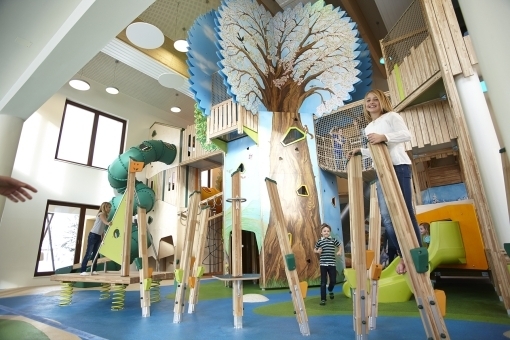 Our adventure worlds and play areas offer a wide variety of opportunities for children to play actively and to let off steam. 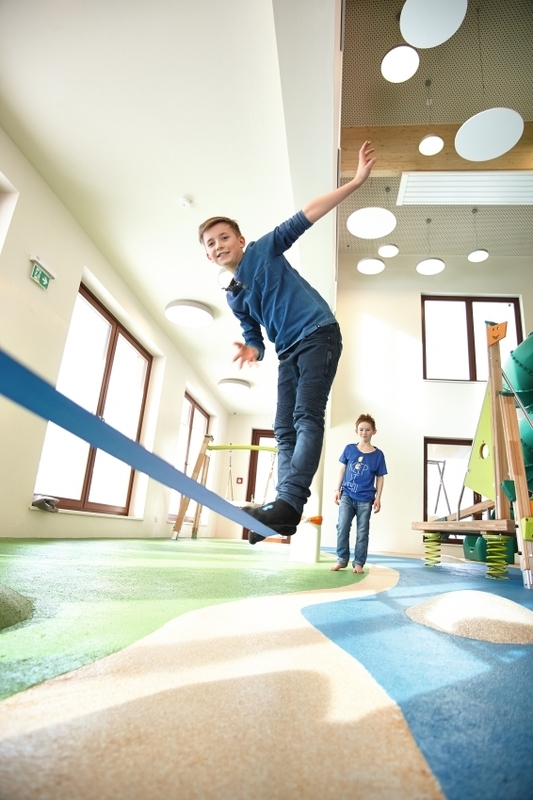 The toys, which have been tested in practice and for safety, leave plenty of room for imaginative playing alone, in pairs, or in small groups. Let’s make the world a little bit more family-friendly together. 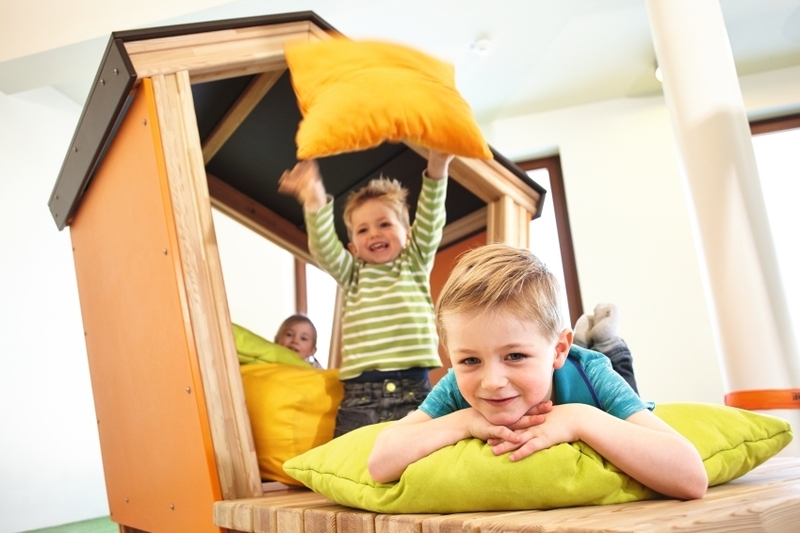 Based on your ideas, the local conditions, and the knowledge of what children want, we develop an exciting concept in close coordination with you. We accompany you from the first idea to its realization. The Kindererlebniswelten team is looking forward to your inquiry. I confirm that I have read, understood and accepted the privacy statement. Kindererlebniswelten is part of the HABA Family of Companies. We, Wehrfritz GmbH, August-Grosch-Str. 28-38, 96476 Bad Rodach (hereinafter Wehrfritz) are responsible for the processing of your data when you visit our website pursuant to Art. 4(7) EU General Data Protection Regulation (GDPR). If you have any questions regarding data protection, please contact our Data Protection Officer by post: Wehrfritz GmbH, Data Protection, 96475 Bad Rodach or by e-mail: service(at)wehrfritz.de with the subject: Privacy. Children’s data – Our websites are not directed at people under the age of 16 and we ask that people under the age of 16 do not provide us with any personal data whatsoever. Data must only be provided by or with the consent of the parent or guardian. If we learn that we have unlawfully collected personal data of a child under the age of 16, we will take steps to delete these data as quickly as possible. II. What happens when I visit the Wehrfritz website? IP address; date and time of the request; time zone difference; content of the request; access status/HTTP status code; amount of data transmitted in each case; website from which the request comes; browser; operating system and its interface; language and version of the browser software. A cookie is a small data file that we transfer to your browser when you surf our site. A cookie can only contain information that we ourselves send to your end device – it cannot be used to read out private data. We do not have access to your personal information, but with the help of cookies we can identify your browser. Your data collected in this way will be pseudonymized using technical precautions. Therefore, it is no longer possible to assign the data to you as a user. The data will not be stored together with other personal data of the user. So that we recognize you on future visits, in order to display your desired settings in the shopping cart (language, country of delivery, user name). So that you can use other specific services: e.g. displaying the site in your language, personalizing our site, etc. So that we can tailor our site to the needs of our customers even more effectively. Most browsers accept cookies by default. The help feature in the menu bar of most Internet browsers explains how to prevent your browser from accepting new cookies, how to have your browser notify you when you receive a new cookie, or how to disable all cookies received. If you disable cookies, certain features on our site may not be available to you and some websites may not be displayed correctly. The websites youronlinechoices.com and meine-cookies.org provide information about usage-based and behavior-based online advertising and how you can avoid them. When you visit our website, we carry out analyses, e.g. to find out which information is most in demand or how you accessed our website. The analysis tools require the determination of individual visitors to be able to evaluate individual behavior. Personal identification, however, is generally not necessary, as only statistical data are to be generated. It is therefore customary, also due to the method applied by the supervisory authority, for IP addresses to only be collected in a shortened form. The legal basis for processing this analytical data is our legitimate interest in how our customers interact with our website so that we can optimize the user experience and the features of our website, Art. 6(1) Clause 1 f). The aim of online advertising is to design ads that are as individual as possible based on your interests. Technically, online tracking is usually carried out using advertising IDs in which user profiles are created via cookies by the providers of advertising networks and the advertisements are placed when a website is accessed on the basis of the cookie profile. By using tracking pixels on our website, when a user visits our website cookies are stored on the user’s end devices by the advertising partners. This enables us to send the user interesting offers even outside our website. The information generated by the cookie about your use of our website (including your IP address in anonymous form) is transmitted to a Google server in the USA and stored there. Google will use this information to evaluate your use of the website, compile reports on website activity for us as the website operator, and provide other services related to the use of the website and the Internet. In addition, Google may also share this information with third parties to the extent that this is required by law or to the extent that third parties process these data on behalf of Google. Google will under no circumstances associate your IP address with any other data held by Google. By using this website, you consent to the processing by Google of data compiled about you in the manner described above and for the above-stated purpose. The collection and storage of data can be objected to at any time with effect for the future. Furthermore, you can prevent the recording of the data created by the cookie and related to your use of the website (including your IP address) as well as the processing of these data by Google by downloading and installing the browser plugin available at the following link: http://tools.google.com/dlpage/gaoptout?hl=de. Alternatively to the browser add-on or within browsers on mobile devices, please click on this link, to prevent Google Analytics from collecting data within this website in the future (the opt-out only works in the browser and only for this domain). An opt-out cookie is stored on your device. If you delete your cookies in this browser, you must click on this link again. Our website uses “social plugins”. This is currently the plugin of the service Facebook. You can recognize the provider of plugins by the marking on the box above its initial or the logo. We offer you the chance to communicate directly with the provider of the plugin via the button. Only if you click on the marked field and thereby activate it will the plugin provider be informed that you have accessed our website. This plugin may be used to send information, which may include personal data, to the service provider, who may use these data. Our website prevents the unknowing and unintentional collection and transmission of data to the service provider by means of a “2-click solution”. To activate a desired plugin, it must first be activated by clicking on the corresponding button. Only this activation of the plugin triggers the collection of information and its transmission to the service provider. Our website itself does not collect any personal data by means of social plugins or about their use. Our website has no influence on which data an activated plugin collects and how they are used by the provider. If you do not want social networks to collect data about you via our website, you must log out of the social networks before visiting our website. Facebook Inc., 1601 S California Ave, Palo Alto, California 94304, USA; http://www.facebook.com/policy.php; further information about data collection: http://www.facebook.com/help/186325668085084, http://www.facebook.com/about/... and http://www.facebook.com/about/privacy/your-info#everyoneinfo. Facebook is subject to the EU-US Privacy Shield, https://www.privacyshield.gov/EU-US-Framework. Google Inc., 1600 Amphitheater Parkway, Mountainview, California 94043, USA; https://www.google.com/policies/privacy/partners/?hl=de. Google is subject to the EU-US Privacy Shield, https://www.privacyshield.gov/EU-US-Framework. Our websites also contain AddThis plugins. These plugins allow you to bookmark or share interesting content with other users. Through the plugins we offer you the chance to interact with social networks and other users, so that we can improve our website and make it more interesting for you as a user. The legal basis for the use of plugins is Art. 6(1) Clause 1 f) GDPR. Via these plugins, your Internet browser establishes a direct connection to the AddThis servers and, if applicable, the selected social network or bookmarking service. The recipients are informed that you have accessed our website and receive the data mentioned under item IV. of this Policy. This information is processed on AddThis servers in the USA. When you send content on our website to social networks or bookmarking services, a link can be established between the visit to our website and your user profile on the relevant network. We have no influence on the data collected and data processing operations, nor are we aware of the full extent of data collection, the purposes of processing, or the storage periods. We also have no information about the deletion of the data collected by the plugin provider. The plugin provider stores these data as usage profiles and uses them for purposes of advertising, market research, and/or demand-oriented design of its website. Such analysis takes place in particular (even for users who are not logged in) to provide demand-oriented advertising and to inform other users of the social network about your activities on our website. You have the right to object to the creation of these user profiles, whereby you must contact the plugin provider to exercise this right. If you do not wish to participate in this process, you can object to the collection and storage of data at any time by setting an opt-out cookie with effect for the future: http://www.addthis.com/privacy/opt-out. Alternatively, you can adjust your browser to prevent the setting of a cookie. For more information about the purpose and scope of data collection and processing by the plugin provider, and to learn more about your rights and setting options for the protection of your privacy, please contact: AddThis LLC, 1595 Spring Hill Road, Sweet 300, Vienna, VA 22182, USA, www.addthis.com/privacy. We have integrated YouTube videos into our website, which are stored on http://www.YouTube.com and can be played directly from our website. These are all integrated into the “extended privacy mode”, which means that no data about you as a user will be transmitted to YouTube if you do not play the videos. Only when you play the videos will the data listed below be transmitted. We have no influence on this data transmission. YouTube you must log out before activating the button. YouTube stores your data as user profiles and uses them for purposes of advertising, market research, and/or demand-oriented design of its website. Such analysis takes place in particular (even for users who are not logged in) to provide demand-oriented advertising and to inform other users of the social network about your activities on our website. You have the right to object to the creation of these user profiles, whereby you must contact YouTube to exercise this right. VI. Which categories of recipients do we share your data with? Within the scope of Art. 6(1) f) GDPR, we enable carefully selected mail order companies, brand manufacturers, publishers, and our affiliated companies to send you information and offers in the context of advertising. Data are only passed on for external marketing purposes if this is legally permitted. If you do not want this, you can object to the use of your data for advertising purposes at any time. In all other cases, we will inform you when personal information is passed on to third parties. To prevent the loss or misuse of data stored by us, we take extensive technical and operational security precautions which are regularly reviewed and adapted to technological advancements. We use SSL (RSA 1024 Bit) as an encryption and security software. This procedure is successfully used throughout the World Wide Web. You can tell that you are in the secure area when you see an icon (closed padlock) in the lower window bar of your browser. All your personal data (name, address, credit card number, bank code, account number, etc.) are encrypted and transmitted securely over the Internet. Only our Wehrfritz server can decrypt your data again. Unauthorized persons cannot read your information during transmission! However, it is also your responsibility to protect the data you provide against misuse by encryption or other measures. VIII. How long do we store your data for? We will make your personal data anonymous and/or delete them as soon as they are no longer required for the above-mentioned purposes and insofar as we are not legally obliged to store them further (e.g. pursuant to the German Commercial Code Handelsgesetzbuch), Fiscal Code (Abgabenordnung)). IX. What rights do you have? The GDPR governs the rights of the “data subject”, primarily in Articles 15–22 GDPR. According to these, you have the right to information at any time about the data stored relating to you, its origin, and recipient as well as the purpose of storage. In addition, you have the right, under certain conditions, to request the deletion of your data and a restriction of the processing, correction of your data, and transmission of your data in a common machine-readable format. In addition to this is information about the existence of automated decision-making, including profiling, pursuant to Art. 22(1) and (4) GDPR and – at least in these cases – meaningful information about the logic involved as well as the significance and envisaged consequences of such processing for you. Please address your request to service(at)wehrfritz.de or by post to Wehrfritz GmbH, Data Protection, 96475 Bad Rodach. If you have given your consent to the processing of your data, you may withdraw this at any time. Such a withdrawal influences the permissibility of processing your personal data after you have given it to us. To the extent that we base the processing of your personal data on the weighing of interests pursuant to Art. 6(1) Clause 1 f) GDPR, you may lodge an objection to the processing. This is the case if the processing is not necessary to fulfill a contract with you. When exercising such an objection, we ask you to explain the reasons why we should not process your personal data as we have done. In the event of a justified objection, we will examine the situation and either cease or adapt data processing, or we will point out to you our compelling legitimate reasons, on the basis of which we will continue processing. Of course, you may object to the processing of your personal data for purposes of advertising and data analysis at any time. Please address your advertising objection to service(at)wehrfritz.de or by post to Wehrfritz GmbH, Data Protection, 96475 Bad Rodach. X. Which complaints authority can you contact? If you wish to lodge a complaint, you can use the supervisory authority’s online complaints form (available at: https://www.lda.bayern.de/de/beschwerde.html). 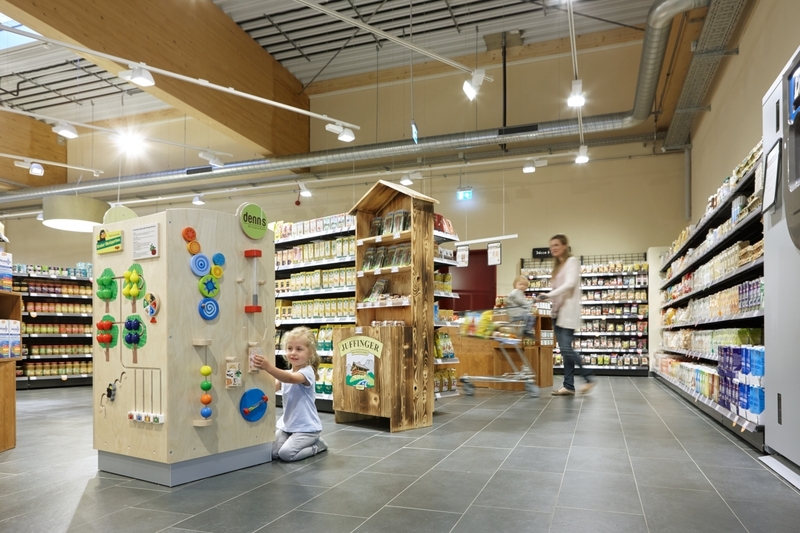 Wehrfritz GmbH is a part of the HABA Family of Companies. To improve readability, we have dispensed with gender-specific differentiation in some cases. Terms apply to both genders for the purpose of equal treatment. If links to external websites are used, we accept no responsibility for their content. The entire design including the texts, graphics, and the selection and arrangement of the same is protected by copyright. Your message was sent. We will get back to you shortly! Please fill in all fields and accept the Privacy Statement.